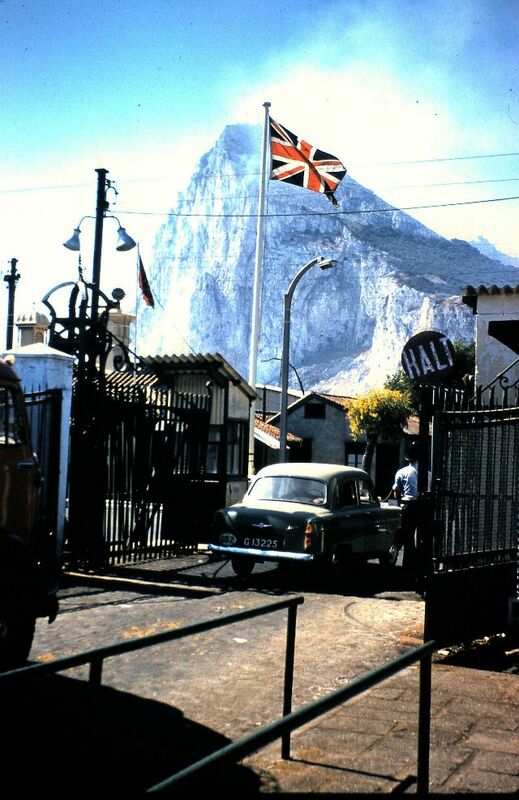 Gibraltar is a British Overseas Territory located at the southern tip of the Iberian Peninsula. It has an area of 6.7 km2 (2.6 sq mi) and is bordered to the north by Spain. 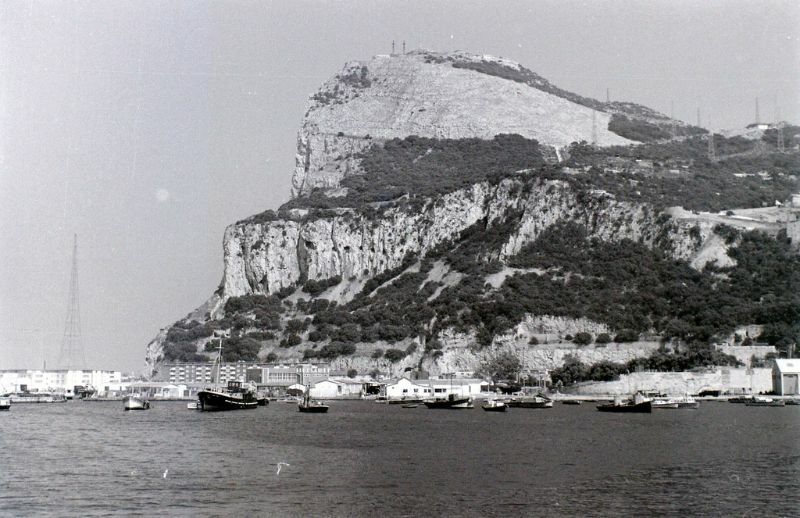 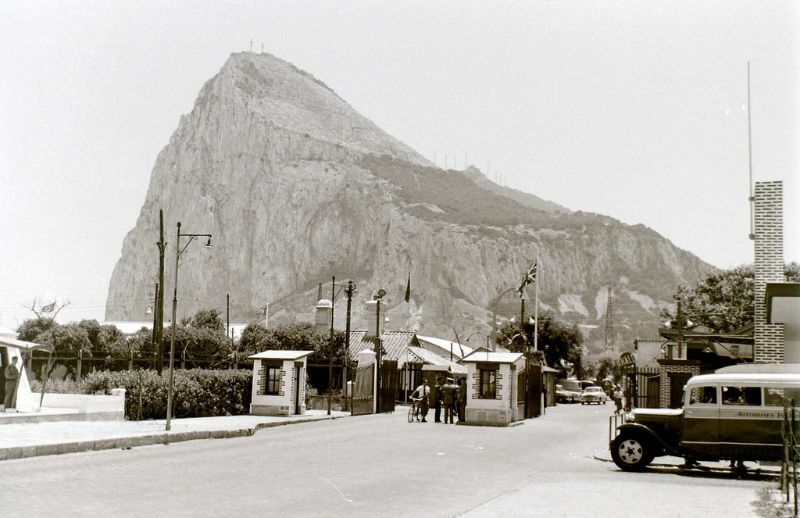 The landscape is dominated by the Rock of Gibraltar at the foot of which is a densely populated city area, primarily Gibraltarians. 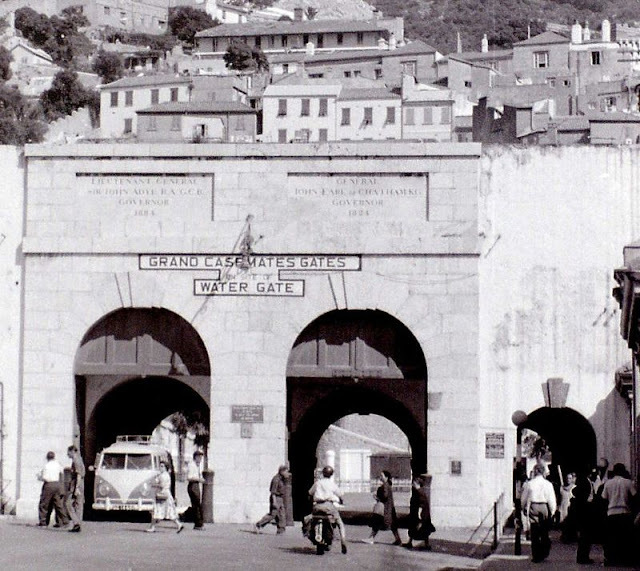 It shares a maritime border with Morocco. 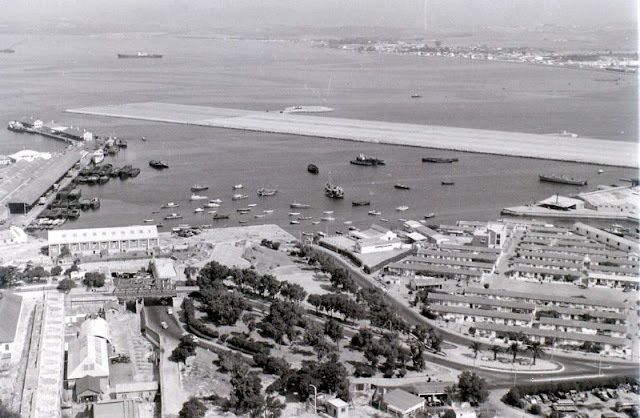 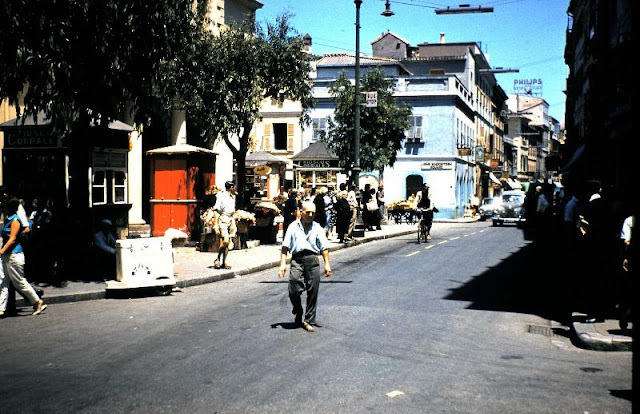 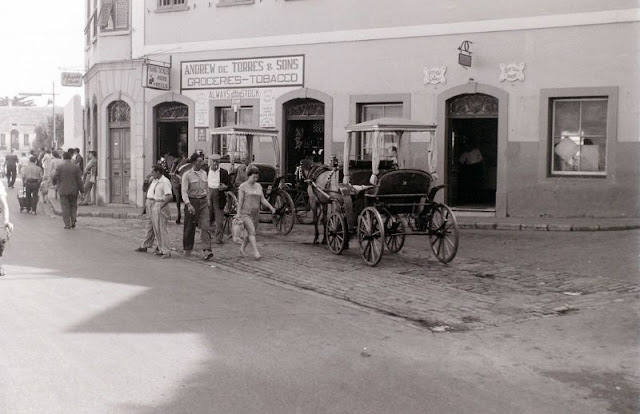 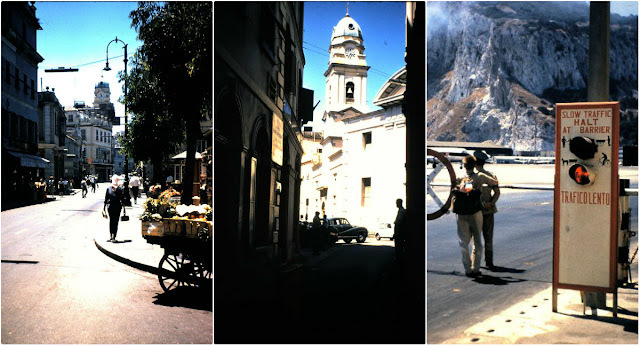 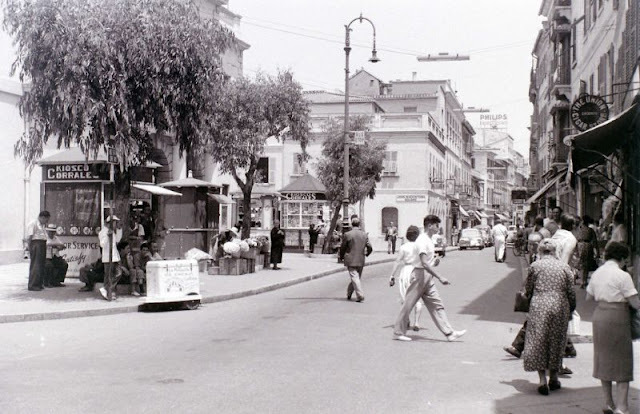 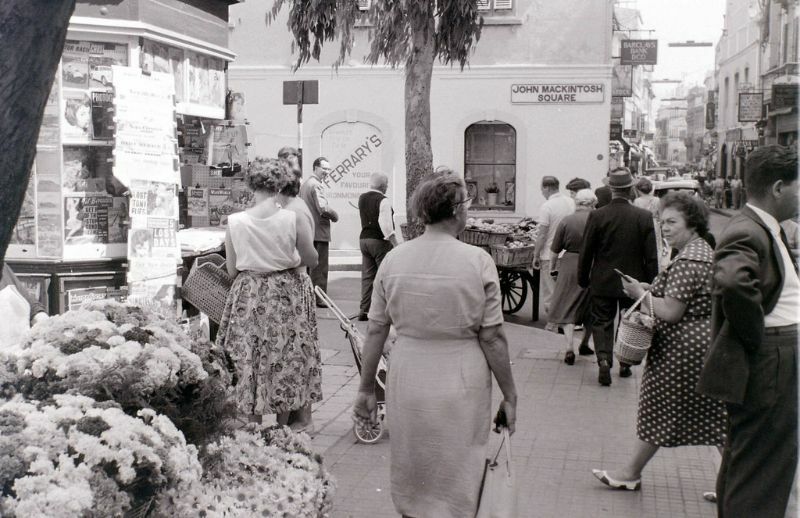 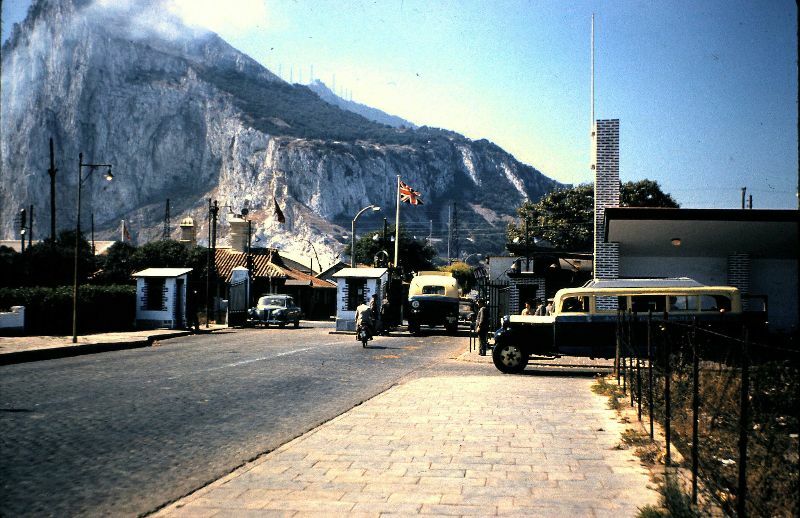 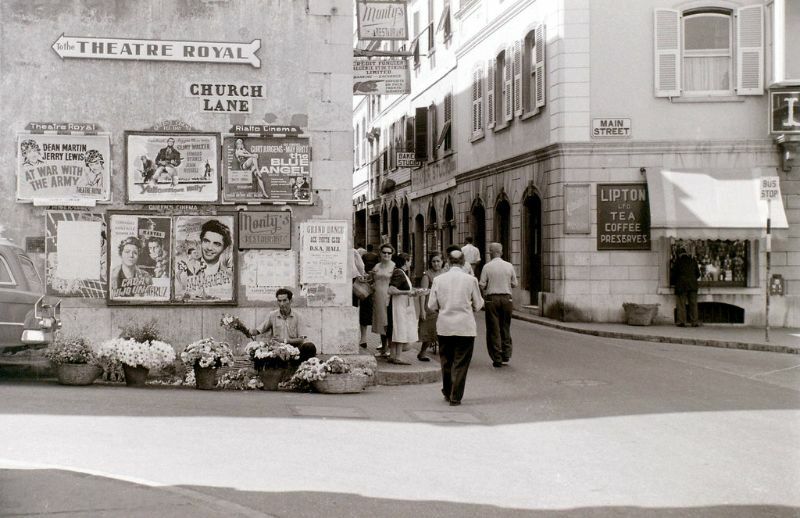 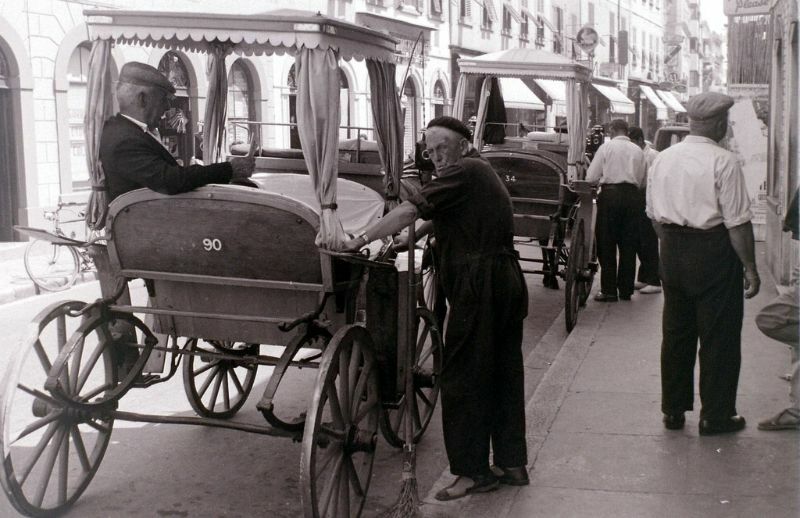 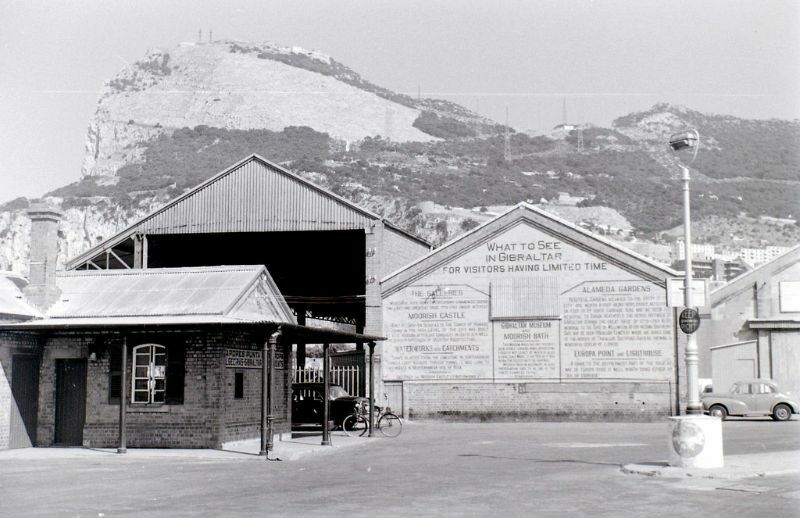 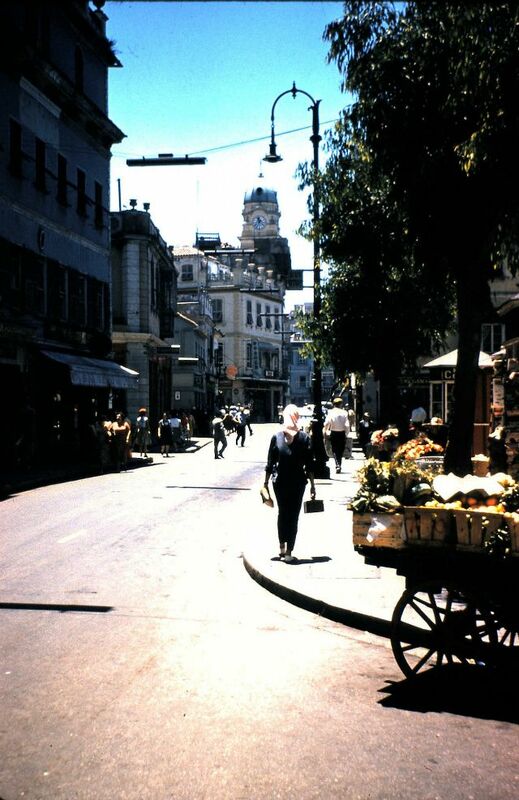 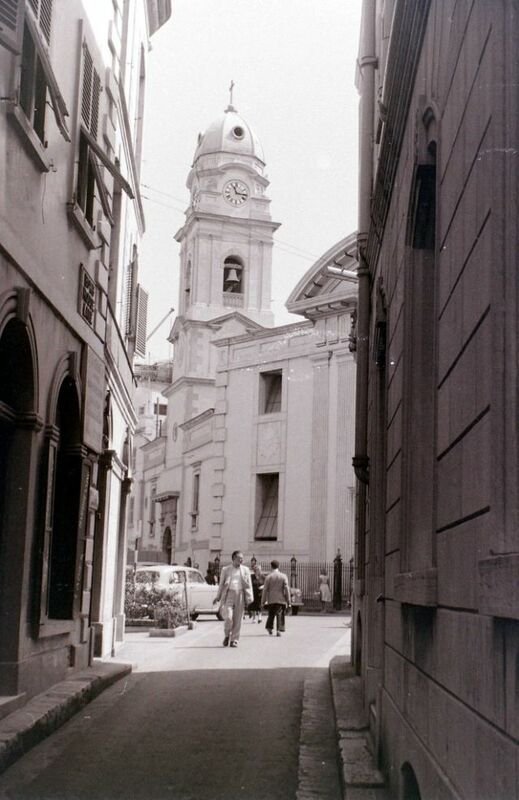 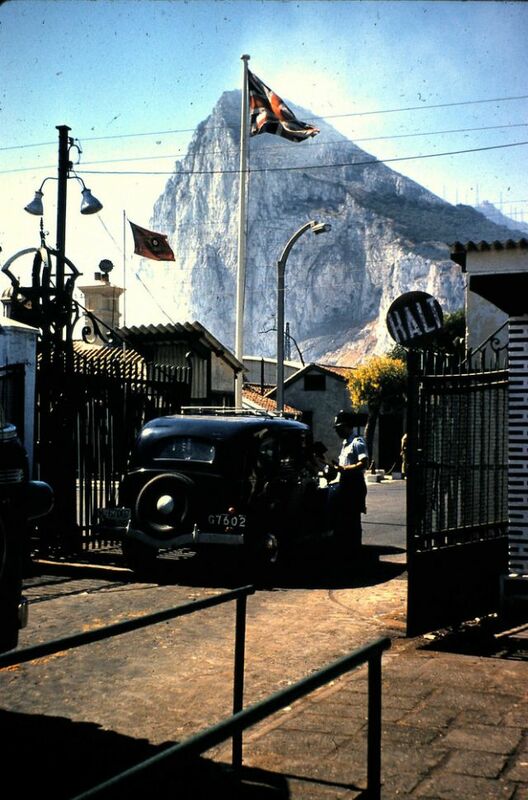 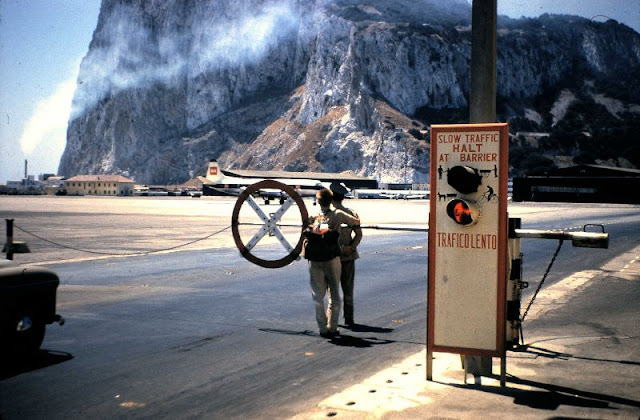 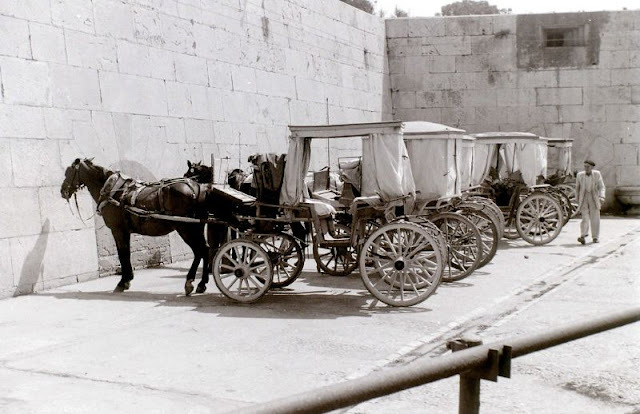 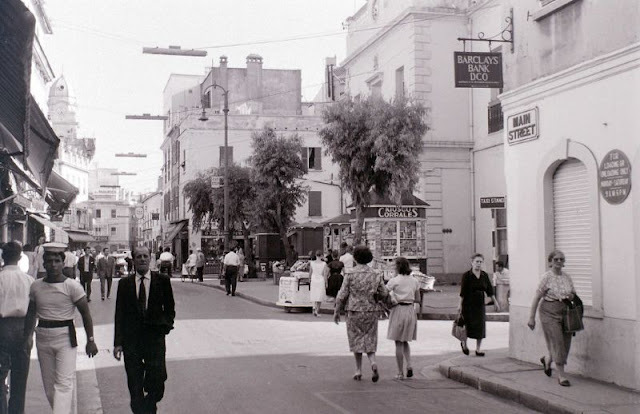 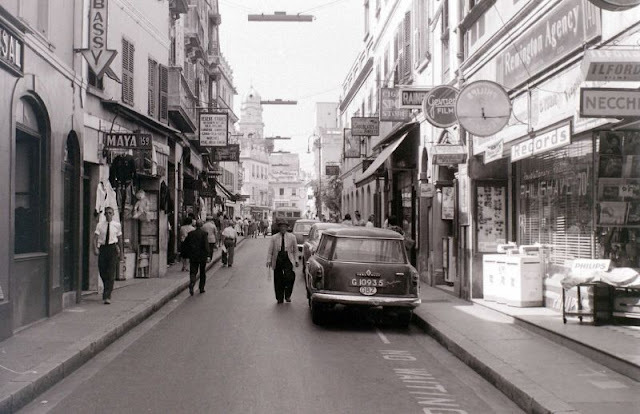 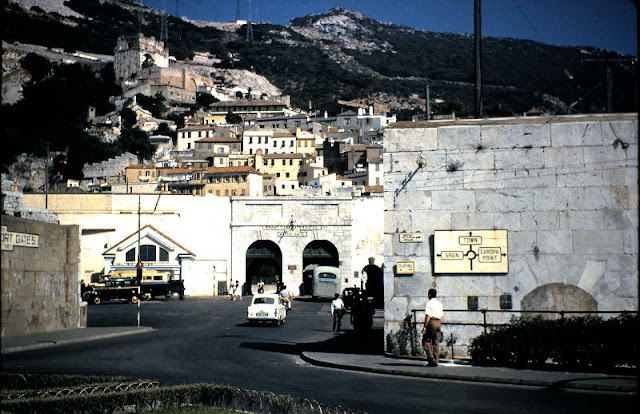 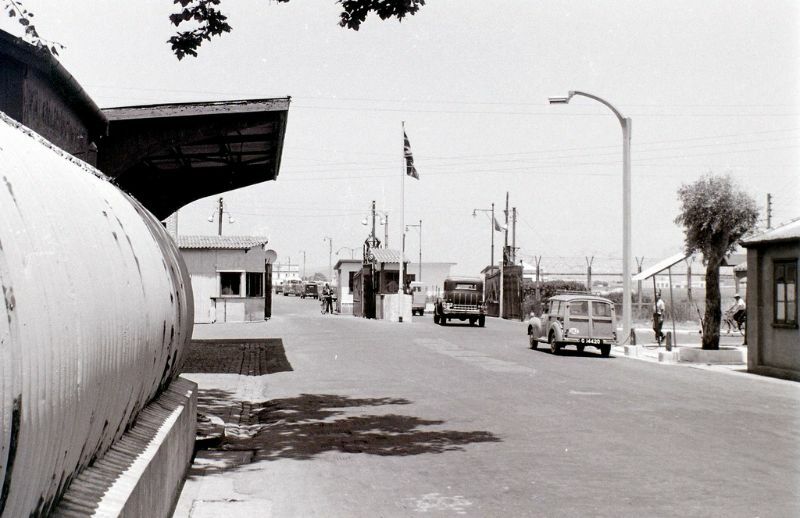 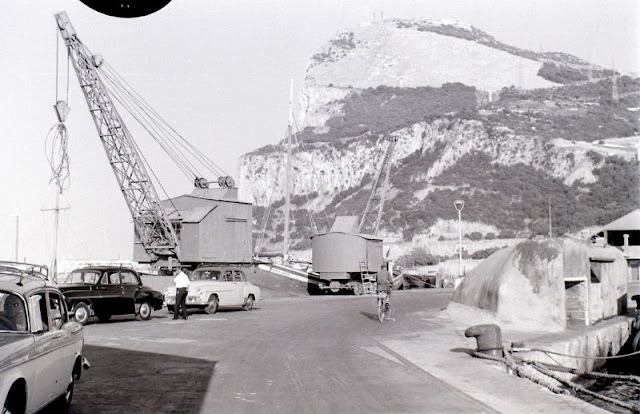 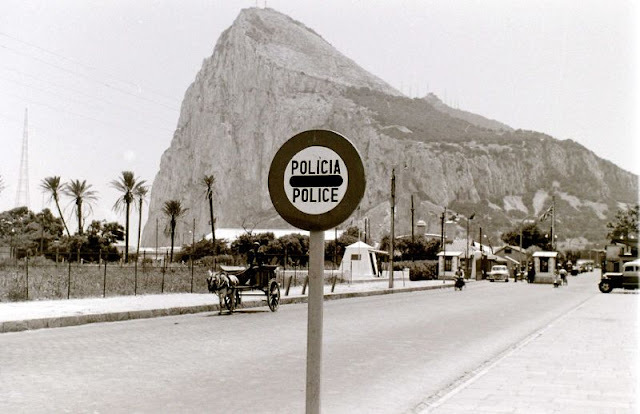 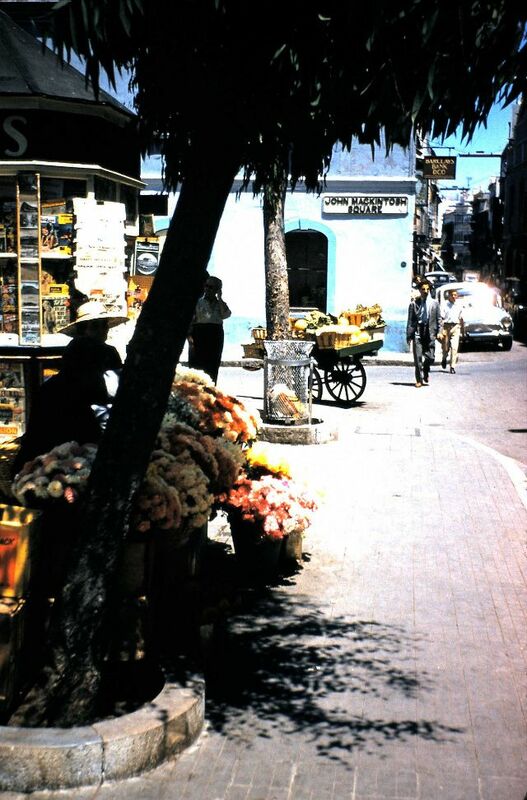 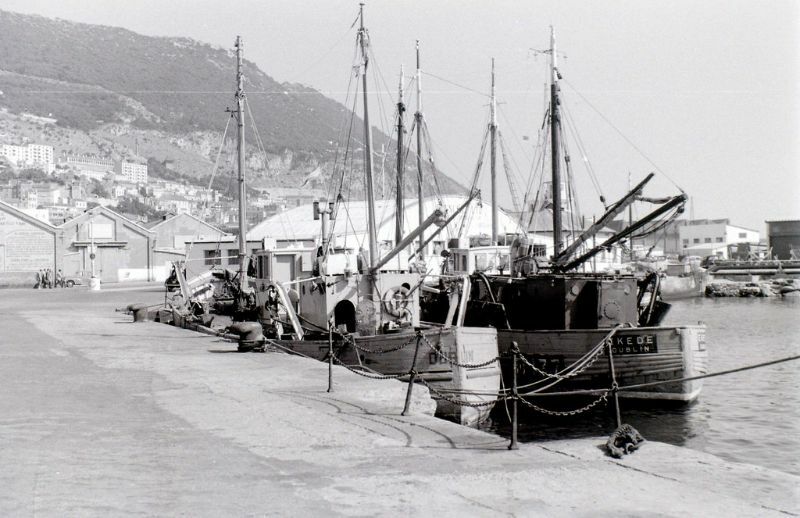 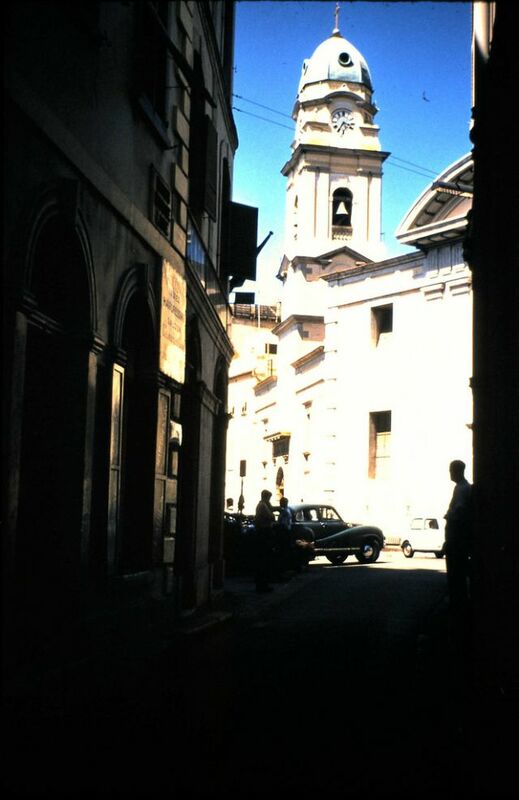 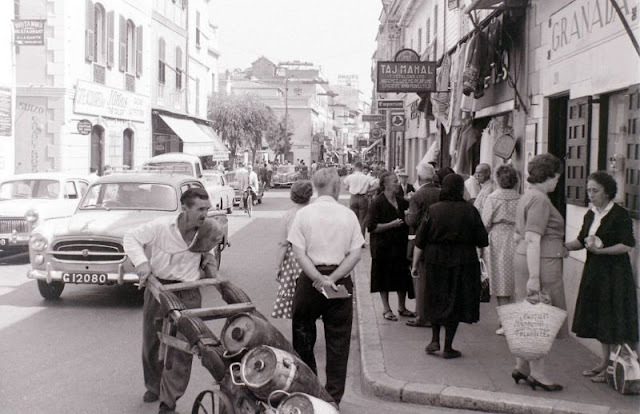 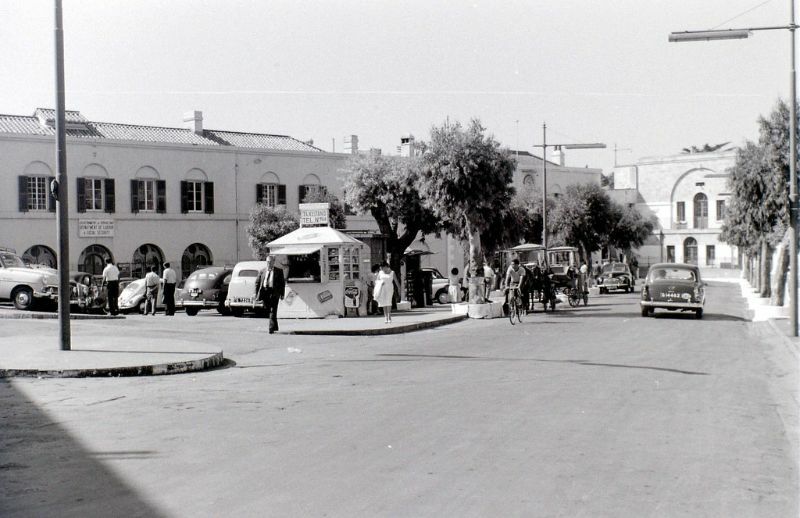 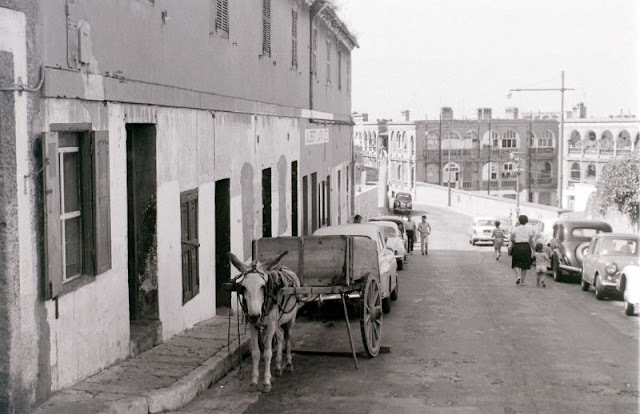 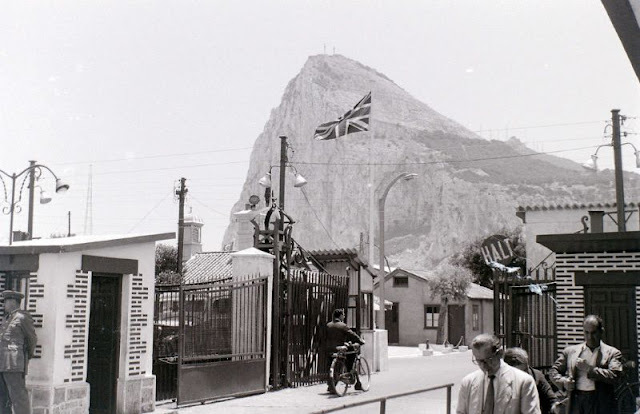 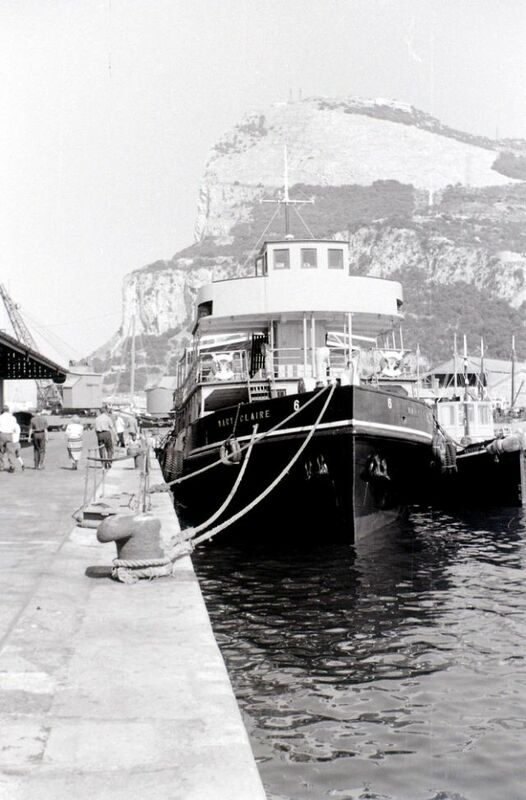 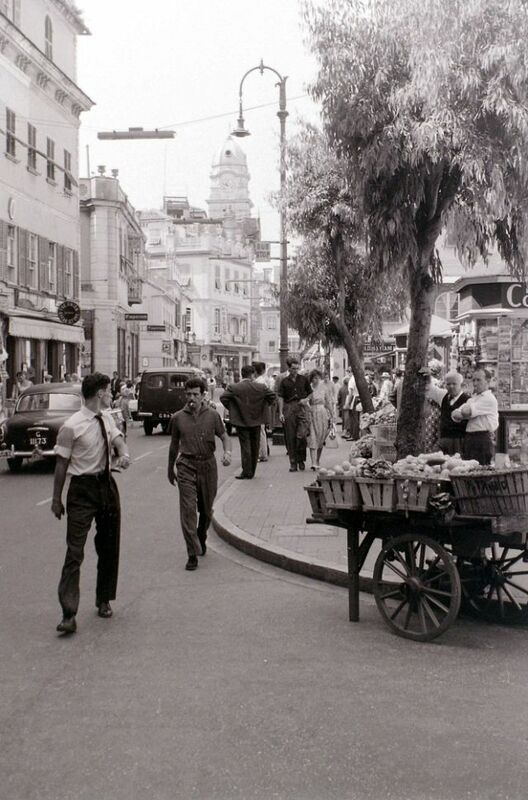 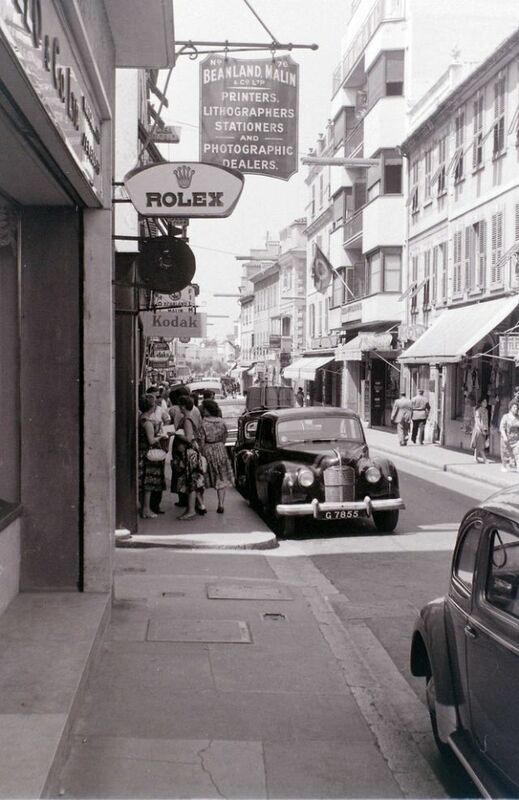 These old photos were taken by Allan Hails that show street scenes of Gibraltar in 1960.